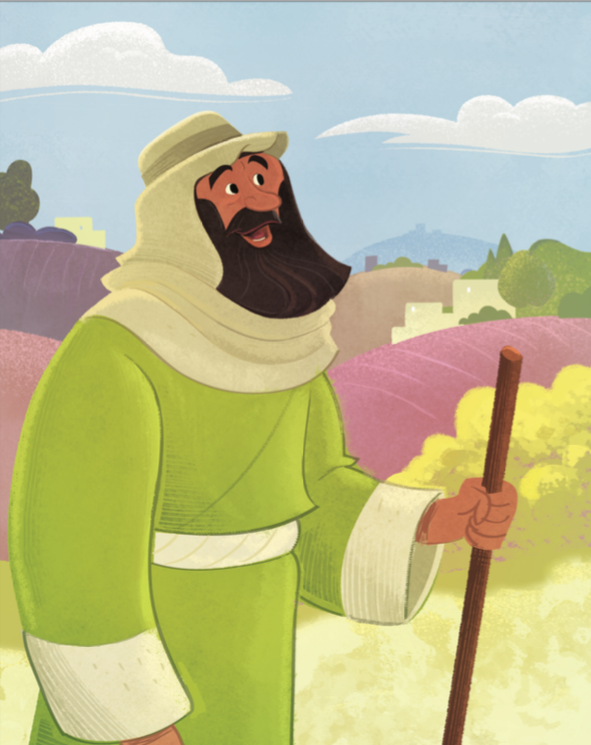 Today’s Bible story in the The Gospel Project® for Kids focuses on the four servant songs in the Book of Isaiah. These songs describe the working out of God’s plan of redemption through the innocent substitute—the Messiah—who would suffer for the sake of sinners. Through the Messiah, God would bring sinners back to Himself. The fourth and final Servant song is found in Isaiah 53. Isaiah provides an answer to the question, How can a just God justify the ungodly? How can He declare innocent those who are guilty? How can He love people like us? A just God can’t just look the other way. That’s cheap grace. Sin against God is a big deal. God didn’t just forgive our sins, He dealt with them. The price? God’s own Son. God planned a very long time ago that Jesus would die on the cross for our sins. Seven hundred years before Jesus was born, the prophet Isaiah wrote that this would happen! Jesus was the servant who suffered so that those who trust in Him could be forgiven. Micah was a prophet from a village in Judah. God’s message came to Micah in a vision, and Micah told God’s people what God said. The message was about God’s people in the Northern Kingdom of Israel and the Southern Kingdom of Judah. God’s people did not love and obey God. Instead, they worshiped idols, took what was not theirs, and listened to false prophets. Micah spoke to the people. “Listen up!” he said. “God is coming to judge you for your sin.” Micah said that God was going to destroy Samaria, the capital city of Israel. He was going to break all of the idols. God was right to punish the people for their sin. God had a promise for His people though. Micah’s next message from God was a message of hope. He said that one day God would restore Jerusalem to the way it was supposed to be. How should God’s people respond to this good news? Punishment was coming, but then God would save them. Micah called the people to repent—to turn away from their sins and turn back to God. God comforted His people. One day, God would rebuild the walls, and people would come back to the land. God would do miracles like He did when He led His people out of Egypt. People would see that God is powerful. Christ Connection: The prophet Micah gave God’s people a message of hope: a leader was coming who would free God’s people. He would be a shepherd and a king. The righteous ruler promised through Micah is the Lord Jesus Christ.